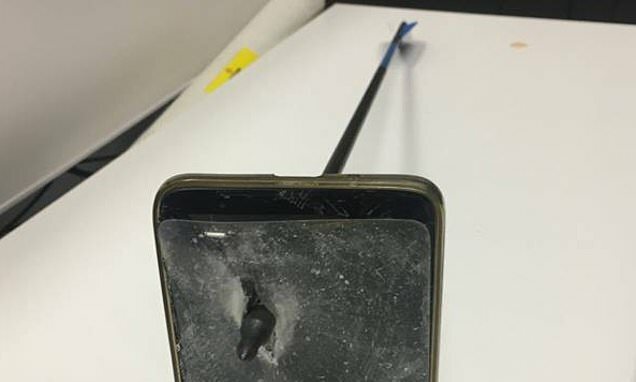 A man has inadvertendly saved himself from serious injury by catching an arrow with his phone after another man allegedly shot at him in NSW's hippy heartland. The 43-year-old arrived home at his Nimbin property at 9am on Wednesday morning and got out of his car. He saw a man known to him standing outside his home armed with a bow and arrow, NSW Police said in a statement.